With the much anticipated snow on the ground, it seems there is no better time to indulge in the trend of rocking a Nordic sweater (also known as Icelandic, Fair Isle, snowflake or ski sweaters). From J. Crew, Abercrombie & Fitch, Christian Dior and Marc Jacobs to Land’s End, Ralph Lauren and even tween retailers like Forever 21, these warm wool wonders for men and women can be found nearly everywhere and have been in style on an off for decades. 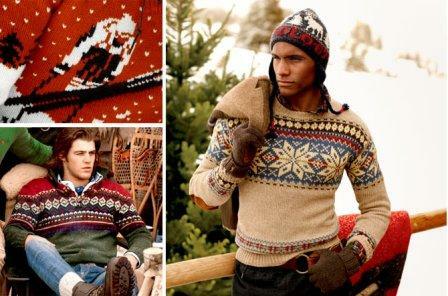 Case in point: Dale of Norway, the real deal, has been knitting them since 1879. Of course, if you (or a family member) subscribes to the philosophy that everything comes back in style at one point or another, there’s probably one in your closet that is good to go, with a little TLC (and if so, chances are its L.L. Bean). I found a great one, and spotted more (and similar themed legwarmers…) at Closet Revival on Broadway recently. Consignment shops are a great place to find them at a good price. Seen on celebs including Drew Barrymore, Taylor Swift, Victoria Beckham and more, they may be best known as the quintessential après ski fashion. Paired with a skinny jean or legging with boots, it’s a fabulous wintry look. Personally, I prefer traditional snowflake or astrid patterns over the geometric or check ones, but they’re outstanding either way. Entry filed under: Uncategorized. Tags: Abercrombie & Fitch, Abercrombie & Fitch Nordic sweater, Abercrombie Nordic sweater, Abercromie, astric sweaters, celebs Nordic sweaters, check Nordic sweaters, Christian Dior, Christian Dior Nordic sweater, Dale of Norway, Drew Barrymore Nordic sweater, Forever 21, Forever 21 Nordic sweater, geometric Nordic sweaters, intarsia sweaters, J Crew, J. Crew Nordic sweater, L.L. Bean, L.L. Bean Nordic sweater, Land’s End, Land’s End Nordic sweater, Marc Jacobs, Marc Jacobs Nordic sweater, Newport ri boutiques, newport ri shopping, Newport ri sweaters, Newport ri winter wear, Nordic sweaters, Nordic sweaters Newport ri, pres ski sweaters, Ralph Lauren, Ralph Lauren Nordic sweater, Taylor Swift Nordic sweater, traditional Nordic sweaters, Victoria Beckham Nordic sweater, Wet Seal, Wet Seal Nordic sweater, women’s Nordic sweaters sale. 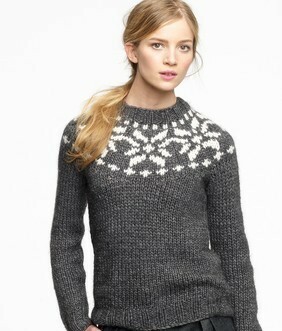 Moose Mountain Trading Company is one of the best sweater shops on the planet! Our physical store is located in Steamboat Springs, Colorado, and we have a growing online site. You’ll find Dale of Norway, Icelandic, Neve, Kinross, Curio, CoVelo, and more. We were honored to be voted Best Women’s Clothing Store in the 2011 ‘Best of the Boat’ survey and we hope to win that honor again in 2012. Visit our site online at http://www.moosemtntradingco.com and if you like what you see — Vote!